I confess it completely made my day when someone told me I was a dead ringer for Melissa Rycroft. I confess when I went to dinner the other night I was telling the group about a girl at work who very openly discusses her upcoming breast augmentation….only to find out the incredibly nice girl I just met sitting beside me had implants. Yes, I wanted to die. Yeah, I don't have an appropriate picture for this one! I confess half my inbox is emails from myself. I send myself emais all the time to remind me of things I need to do, blog about or grab at the grocery. What do you confess this Monday? hahah awhh, i love being compared to pretty celebrities. i still haven't sent out thank you notes for my wedding. just got married in june and both of my bridal showers were in may. better late than never i guess. Of course you look like her, you are both absolutely stunning!!! Hahahaha - my gmail inbox is full of emails from "Me". Best way to keep a to-do list for sure. I confess that I ate 3 fudge bars yesterday. THREE. This is such a cute post! And what a compliment to be compared to Melissa Rycroft...she is beautiful, as are YOU!!! hahah i've had moments of "beastly snob" (btw, love this term you came up with ahaha)it's not pretty. it's that point when I miss my nice-ness. OH and i dont think I can ever picture you being mean or snobby! i confess i heart you! thats too funny! you do look like melissa and I definitely send myself emails ALL THE TIME, I even have a "sent to self" label in gmail! I do that with links I find at work I'll often email them to myself so I dont lose em! your confessions always crack me up, friend! loved this!! You do look exactly like her! I confess that I love reading your confessions! I'm cracking up at work, haha. LOL you DO resemble Melissa! Both gorgeous gals :) although I hope your laugh is a lil better than hers because from what I remember hers was a little extreme. Have a good day lovie! I email myself CONSTANTLY. It's so helpful! I email myself ALL the time too! ummm, i think WE are twins. i'm constantly emailing myself stuff. such a good system! ha, i wasn't and still am not shy about my "enhancement" but i certainly did not talk about it around the office. to my friends, yes. to my boss and co-workers, no. I did a similar thing to the breast augmentation situation except regarding tattoos. OOps! YOU DO LOOK LIKE HER! 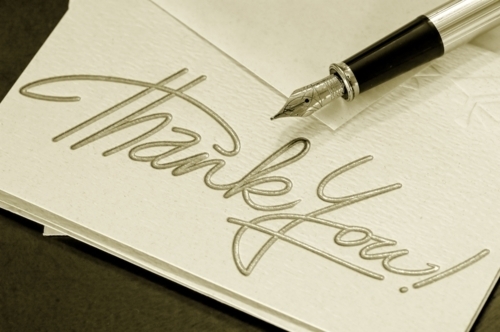 Just writing a thank you note at all (no matter how late) is a success! and that implant story is too funny. Cute list. 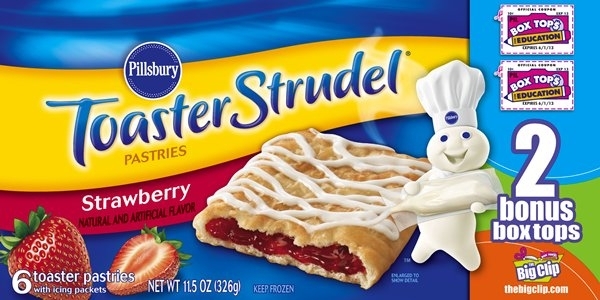 :) I remember Toaster Strudels from when I was little. They're great. Ahhhh, so smart to email yourself! I need to start doing that!! Y'all really do look alike! Pretty girls! I just found your cute blog and it is just what I needed! Long day! You do look just like Melissa! The two of you are gorgeous! And looking at your blog makes me want to go buy some new running shoes... Oh! And Im in ATL, too! Love to find locals! hehe i totally email myself to remind myself about things too!! love your confessions. i usually scribble my blog ideas down along with work notes and they end up getting lost. Good call to email to yourself. I confess I have almost 200 blog emails that I'm scared to reply to because it will take so long. I must though, I must. You know what else I must do? Go to bed. night night. We def are BFFs because you just used the word "beastliest"
"Beasted" is probably my favorite word ever, ha. I use it and all variations of it all the time. Since high school, ha I even have my rents saying it too! Its nice to know that I'm not the only person who e-mails myself. And you do look a lot like Melissa! !